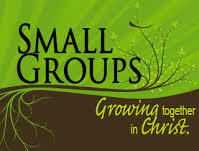 We are really excited that our new small groups will start meeting for fellowship, prayer and bible study week beginning 2nd October. Most groups will meet on the first and third Monday and Wednesday of the month, with groups meeting during the day and evening. Groups will either meet in peoples' homes or at the church. Topics that will be explored include the Parables, Busyness (finding God in the whirlwind of life) and a study called Transformed, which will explore what it looks like to be Jesus in practice.